We are not as divided on basic issues and values as political campaigns would suggest. Decades of research confirm that the majority of Americans actually hold very similar views on the kind of behavior essential to a flourishing society. For example, Americans overwhelmingly agree a healthy society is influenced by character virtues such as courage, generosity, and humility. Yet a significant percentage of Americans perceive a lack of virtue in both Donald Trump and Hillary Clinton. The good news is that research is beginning to document what has been obvious to many for decades; namely, organizations designed to build virtuous behavior and enhance character development can do just that. For example, colleagues and I found in a national study published in 2012 that Eagle Scouts were more likely than non-Scouts to have donated money, volunteered, held leadership positions in the community and score higher on validated measures of ambition, work ethics, morality, tolerance and respect for diversity. In addition, Eagle Scouts were significantly more likely to report close connections to siblings, neighbors, religious communities, friends and co-workers. In a separate study, we found the longer the involvement in Scouting, the more likely that youth would develop these important character attributes. We found that each additional year a youth remains in Scouting was associated with stronger planning skills, more group membership, more personal networks and more outdoor leisure activities. All of these associations were found while taking into account other characteristics that might have been causing the difference between the two groups, like parental education and income. Sometimes it’s hard to know if Scouting helped cause these things, or whether people who were already going to exhibit these virtuous characteristics were more likely to get into Scouting in the first place. To test whether Scouting really helped people develop these good attributes, youth development scholar Richard Lerner and colleagues at Tufts University measured whether Cub Scouts actually improved on these virtues while they were participating in Scouting. 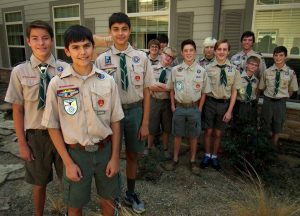 They measured positive character attributes of Cub Scouts over three years, using scientifically validated scales while comparing them to a similar group of non-Scouts. At the beginning, there were no significant differences in character attributes between Scouts and non-Scouts. After only 2½ years, the Scouts had significantly improved measures of obedience, helpfulness, cheerfulness, kindness, trustworthiness and hopefulness. The non-Scout group did not show any significant changes on these characteristics. It is hard to imagine that the influence of Girl Scouts would not yield similar positive results. Regrettably, we are still lacking in research on the impact of participation in Girl Scouts. For more than a decade, Lerner and his colleagues have conducted and published a number of groundbreaking studies of youth participating in 4-H. The studies are based on a sample of more than 7,000 adolescents from diverse backgrounds across 42 states that researchers tracked for over eight years. They discovered that participation in 4-H plays a vital role in helping youth achieve success. For example, compared to their peers, youth involved in 4-H are significantly more likely to contribute to their communities, participate civically, take part in science programs and make healthier personal choices. It is encouraging to know that there is empirical research demonstrating that character building organizations like Boy Scouts of America (headquartered in Irving) and 4-H are able to foster something we all agree is needed, positive youth development. In a time when political discussions seem to focus on topics that divide us, we should not overlook the good news that instilling character in American youth remains an achievable goal. 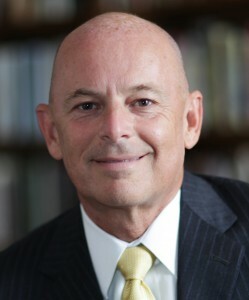 Byron R. Johnson is distinguished professor of the social sciences at Baylor University.